There are houses, and then there are mansions. 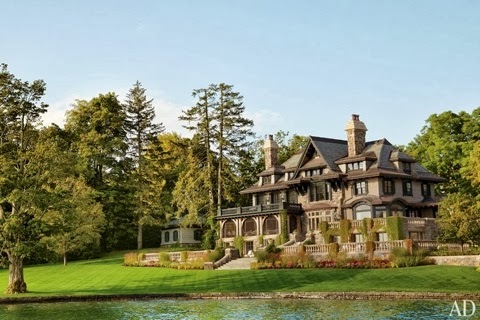 This waterfront house upstate New York feels more like a homey mansion with its' grand rooms and sophistication. See more of this beautiful home and read the full story in the latest edition of one of my favourite magazines Architectural Digest, or you can also read the excellent iPad version. Unbelievable home, I have to check that out! I know...these homes are unbelievable! And there are so many of them, all over. It stills blows me away. 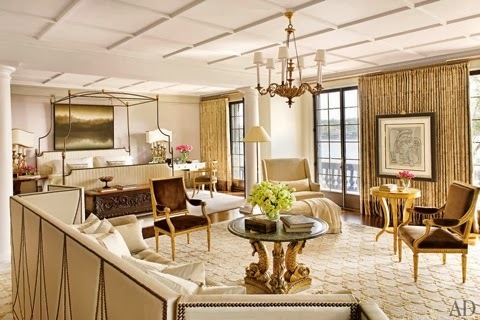 AD feature the most extraordinary homes and I love it! OMG...Nice house..Look so lovely or i'm so happy to see the decoration of this house,i'll also try to improve my own house like that or in this vacation definitely go new york or try to stay here..!